My husband and I bought this painting in Columbus OH in 1978. We have enjoyed living with it and always wanted to find out more about the artist. We believe you may have painted it as a student at Ohio State. Recently we moved to Lancaster and learned that you were a founder of PCA&D. We stopped by the faculty biennial on Friday night and spoke to your colleague Eric Weeks who suggested we try to contact you by email. We are curious to know if this is your work. Thank you. Included in the e-mail was an image of the large 3' x 4' painting that happened to be the couple’s first art purchase. The couple, who wishes to remain anonymous, remained in Columbus only to move to Lancaster recently. 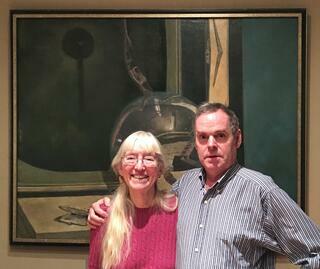 They were kind enough to invite Tom and his wife Zelda to see the painting once again in person. 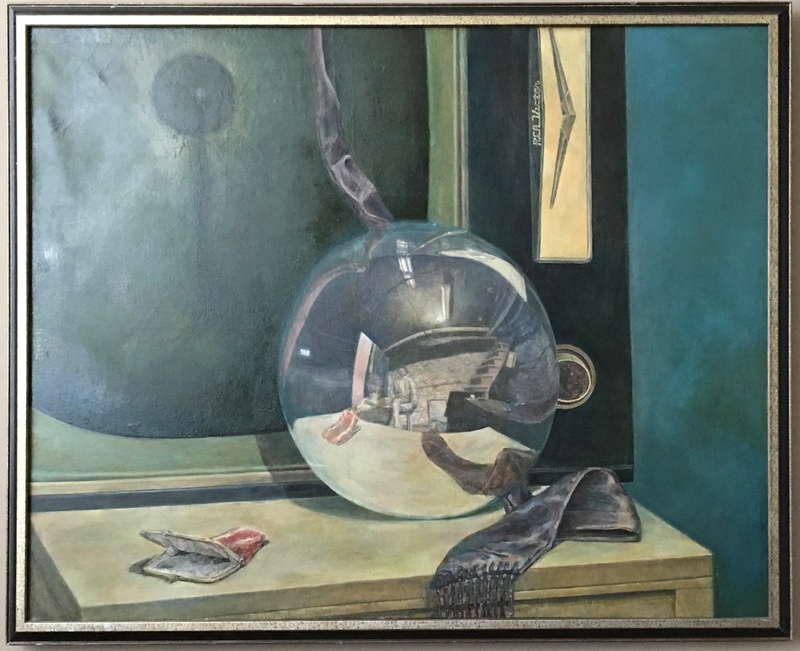 At the time he made the painting, Tom was attending Ohio State University, soon heading off to grad school at Penn State, where he earned his MFA. His subsequent teaching career includes assisting in the founding of PCA&D, and he teaches Drawing II and 2D Design to Foundation Year (first year) students. His current artwork can be viewed at http://www.tomscullin.com/.